Surrealist Burlesque Returns to Coney Island August 23rd! Last year’s Surrealist Burlesque was featured in the New York Times and attended by the great director, Darron Aronofsky! This year’s intimate theatre experience has limited capacity so purchase your tickets now! 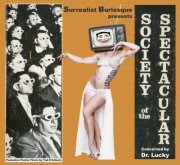 Surrealist Burlesque returns to Coney Island on Thursday August 23rd for “Society of the Spectacular,” a show inspired by Guy Debord’s seminal text, Society of the Spectacle. Featuring site-specific installations, multi-media performance art, spectacular production numbers, and elaborate props and costumes, this show is guaranteed to make your eyes sweat and your brain tingle! The entire Coney Island USA complex will be popping with spectacular sightings, including a full stage show on the Sideshows By The Seashore Stage and an intimate theatre experience in the Coney Island Museum, and live music and go go dancing in the Freak Bar. See what happens when technology overtakes humanity, and the machines we have come so dependent on become more real than reality itself. Starring an all-star cast including Dr. Lucky, Bunny Love, Peekaboo Pointe, Nasty Canasta, Leroi the Girlboi, Maddy Mann, Ruby Solitaire, Scary Ben, Zoe Ziegfeld, Zelda Bloomer, and Heather Whatever. Hosted by Miss Astrid. Featuring The Dali Dancers. 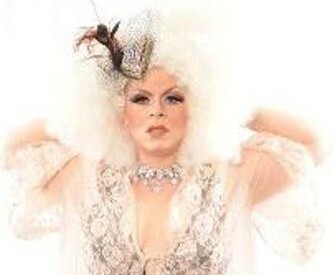 “Drag Verite” video by Joe Jeffries. Live Music Karaoke with Joe McGinty in the Freak Bar. Stage Kitten: It’s a Little Stormy. Stage Manager: DJ MomoTaro. Other Surrealist Burlesque shows staged at Coney Island include: “Phantasmagoria: A Land Where All The Beauties are Monsters and All the Monsters are Beauties” (2009) and a durational performance art piece entitled “Coney Island and Spectacle as Total-Body Experience – A 12-Hour Academic Spectacular in Which We Find Our Heroine Chained to a Podium for an Interminable Period, With All the Agony and Sublime Joy That This Might Entail” (2006).